With two developed campgrounds: the Mazama Campground and the Lost Creek Campground. The Mazama Campground is a developed campground and has sites which can accommodate RV’s and tents. The Lost Creek Campground is a first-come, first-served tent-only campground. Both campgrounds are located in forests south of the lake and are only open in the summer. Each campsite at both campgrounds has a picnic table, fire ring equipped with grill, and a metal bear box for food storage. 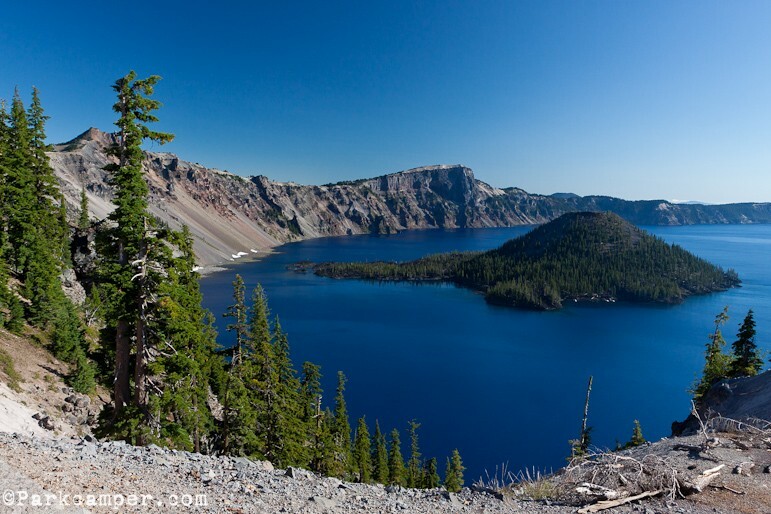 The Mazama Campground is the only reservable campground at Crater Lake. Camping (and overnight parking) elsewhere in the park is prohibited, except by backcountry permit. 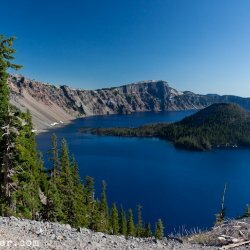 Reservations for the Mazama Campground are available at www.craterlakelodges.com or by calling 1-888-774-2728.